If you need advice on scrapping your car or van, then please contact us today and we will talk you through everything you need to know about scrapping your vehicle. Many of our customers were not sure of the regulations and what to do when scrapping their vehicle, so we have decided to share with you some of the FAQs we get asked on a regular basis. Yes, you can claim you tax back by contacting the DVLA to get a refund. 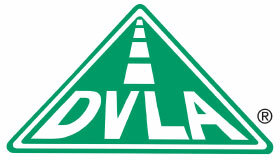 Just visit the DVLA website for more information. What if my vehicle has broken down? If your vehicle has broken down and you no longer wish to own the vehicle then can buy this no matter what condition it is in. We are happy to salvage any broken down vehicles. We also buy faulty or damaged cars that are beyond repair, MOT failures, damaged cars and end of life vehicles. How long will it take for my vehicle to be collected? We have a number of recovery vehicles operating throughout the South East 7 days a week. We can therefore usually collect your vehicle on the same day as you call. If this is not convenient then we can arrange another day that is convenient for you. On the day of collection, it will take no more than 15 minutes to take your car or van away. Do I need to be there when you collect my car? No you do not need to be there. If you could leave the keys and the paperwork with a family member or a trusted neighbour, then we are happy to collect the car from them. If you could just let us know before we arrive so we know whom to deal with. What if I do not have a log book/V5C document? If you do not have the registration document it is not a problem, we will get you to complete a vehicle surrender form. You will need to provide us with some proof of ownership of the vehicle. We will send off the vehicle surrender form and the DVLA will send you a Certificate of Destruction once the vehicle has been scrapped. Does the vehicle need to have tax and MOT? No, as long as you can provide us with proof of ownership we can scrap any vehicle regardless of whether it has Tax or an MOT. How will I know when the vehicle has been scrapped? Once we have scrapped your vehicle, you will receive a Certificate of Destruction from the DVLA. This is to say that we have disposed of your vehicle in the correct manner. What happens to my vehicle once you take it away? Because we are an environmentally friendly company, we will ensure that we remove all the parts from the vehicle that can be recycled. The other parts that cannot be recycled will be disposed of it the correct manner. The shell will then be crushed. What kind of payment will I receive for my car? We can no longer give you cash for your car so it will be transferred into your bank account straight away. Do I need to clean my car before you take it away? No, it really is not necessary for you to clean your car, but please ensure that you have not left any personal items in the car before we take it away. How much will you give me for my damaged work van? If you fill out all the details on the enquiry form, we can then get back to you with a quote. If you are happy with the quote then we will arrange a time for us to come and look at your van and then take it away the very same day. Can you pick my vehicle up at the weekend? Yes we operate our scrap car service 7 days a week. We can even arrange a collection in the evening depending on where you are. Please contact SMC South East for more information about our opening times. Can I get cash for my vehicle? No we are very sorry but it is illegal to give you cash for your vehicle. We can however transfer any funds into your bank account. If you would like a free valuation for your vehicle then please call us on 07943 237252 or fill out the enquiry form here.